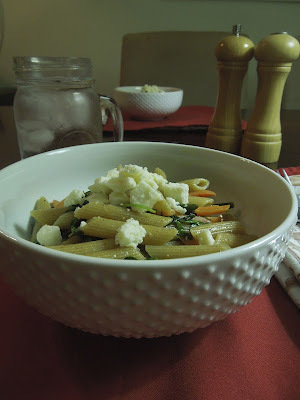 Mainely Veggies: What is Primavera Anyway? This is from our bare cupboards dinner from last night! I hit a much needed trip to the grocery store today though and will have a delightful dinner post on the way! 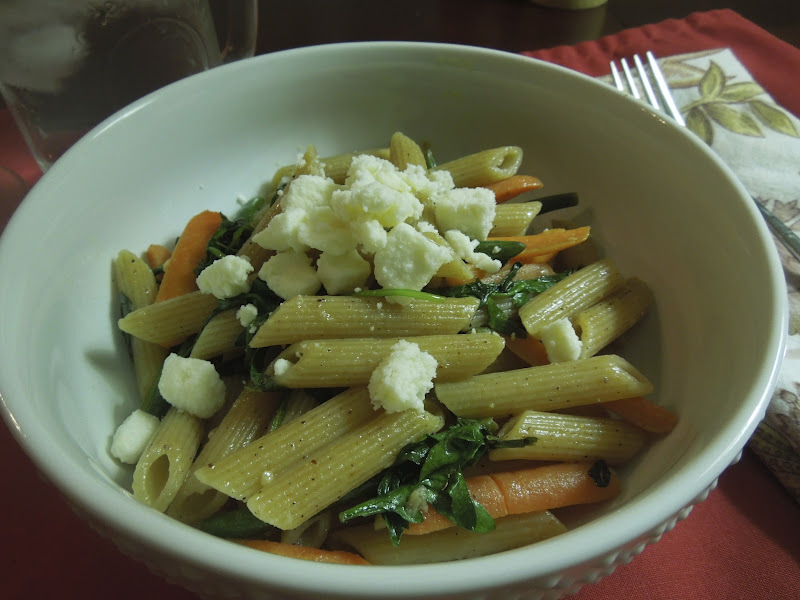 This is my rendition of pasta primavera (anyone know what qualifies as primavera??). 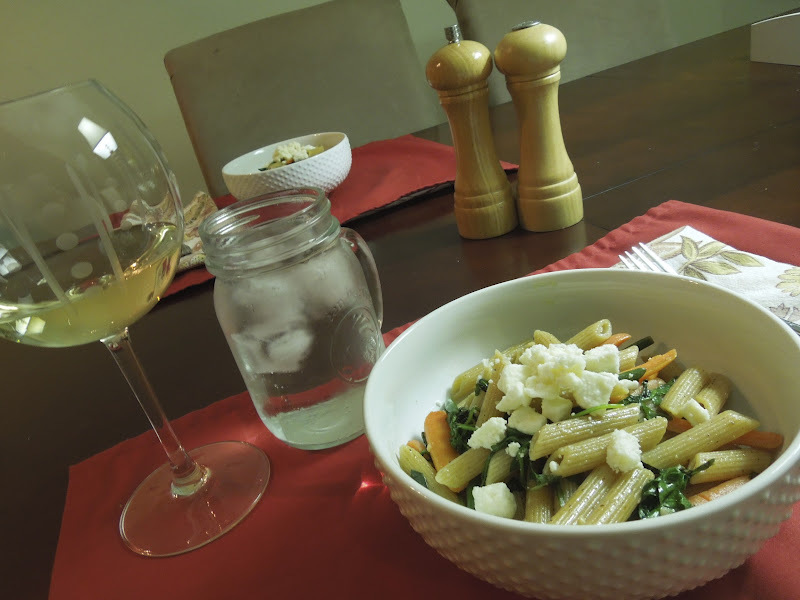 Whole wheat pasta in olive oil and white wine with garlic, carrots haricot verts (little green beans) and arugula. Topped with some feta. Salmon is on the agenda for tonight! See you in a bit!